It is said that one day, on the evening of Christmas, in the darkness of a cold and tempestuous night. 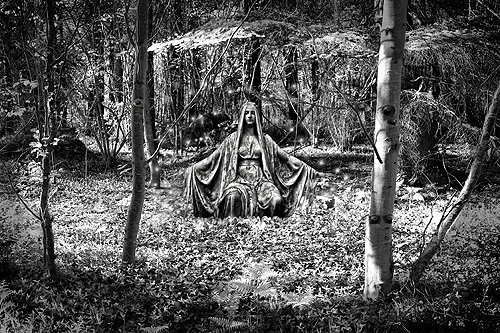 The devil took the form of a priest and came to look for a poor woodcutter who lived alone with his wife in a cottage lost in the heart of the forest. Over the clamour of the wind, the woodcutter perceived something outside: the sound of a step and a clapping of cloth, close by, behind the door. A visit to this place, at this hour, at this time, was unusual. Soon blows were heard at the door. A black silhouette sliced ​​through the silver square of the moonlight. He was a priest, whose wind had extinguished the candle. The woodcutter politely invited him to enter, but with a gesture the unknown refused. "No," he said, "I just come to help you." "Take your bag, wood cutter: we'll need it, follow me!" The priest took him to an enormous oak where with a a touch of his hand, and in a slow movement of rotation, the tree opened itself. A violent clarity cleared up the crevice which had just formed, and caused heaps of gold, jewels, and precious stones to be reclaimed, which seemed to be decaying from its make-up, and accumulating on its roots. And, in the midst of these riches, a beautiful young veiled woman, veil, who stood motionless, her forehead nimbus of a broad crown, a graceful smile on her lips. 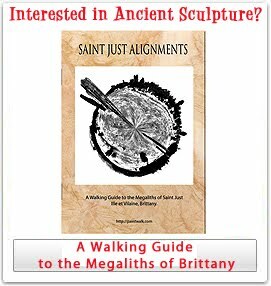 The priest's eyes flashed, He grimaced horribly, and a foam was bubbling at the fold of his lip, while he emitted a sardonic laugh. Looking down, the woodcutter noticed that his feet were forked; A long tail transcended its cassock and swept away the dead leaves. He had recognized the devil and had begun to tremble. "You're poor, Lucas, and you want to be rich?" "Well, you can take gold as much as your wallet can hold, and every year in the same night I'll go get you. And the tree shall be opened, and thou shalt be able to serve thee as thou wilt: for thou shalt be strong, and fear, and obey: but in exchange thou shalt give me thy soul." Never, under any pretext, will you cross the gate of a church: if you fail in your oath, it would be done for you! After a silence, Satan added: "Do you accept?" Obviously, the woodcutter became rich, but only after having sworn to the devil that he would deny the church all his life! And then, over the years, remorse has gnawed at him and his prisoner consciousness eventually led to his loss. 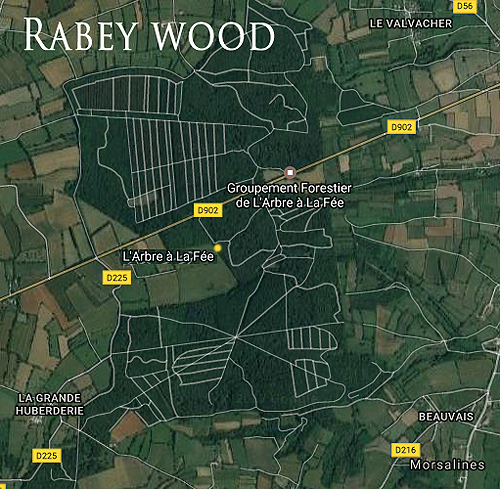 Rabey wood is situated in the Val de Saire, in Normandy, France. 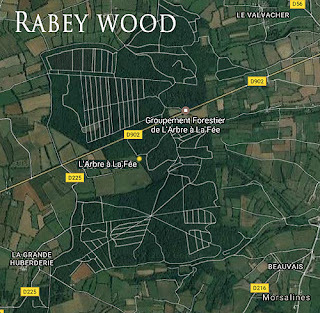 The wood of Rabey covers three hundred and ten hectares is the largest of the Val de Saire. Formerly, it stretched from the flanks of the Mount of Pernelle to the island of Tatihou. It was part of the great forest of Brix from XVIIc century. 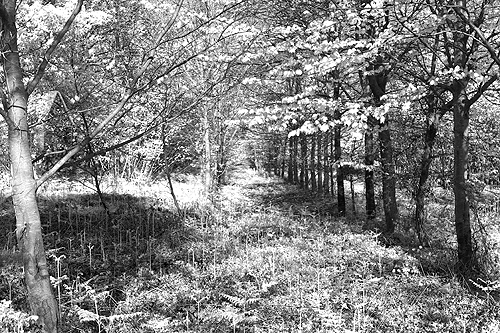 The wood shelters a beautiful tricentennial beech called lee fee, whose bark is engraved with many inscriptions and to which is attached an extraordinary legend.